Photo: The Chinsegut Hill Manor House, ca. 1840s, 22495 Chinsegut Road, Brooksville, Hernando County, Fl Listed on the National Register of Historic Places in 2003. Photographed by User:Ebyabe (own work), 2007, [cc-by-3.0 (creativecommons.org/licenses/by/3.0)], via Wikimedia Commons, accessed January, 2013. The Hernando County Courthouse is located at 20 North Main Street, Brooksville, FL 34601; phone: 352-754-4201. 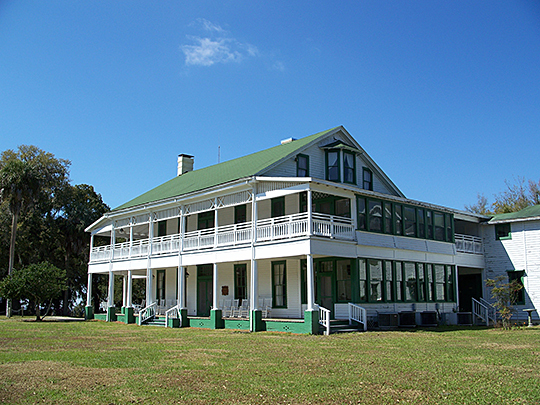 Hernando County was established in 1843 from parts of Alachua, Hillsborough and Orange counties.